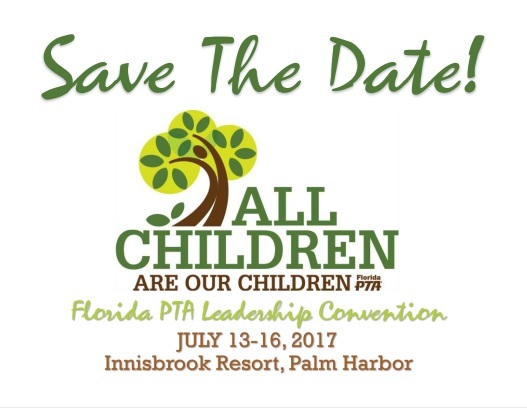 See what is happening at the Florida PTA. Here is the March 2017 eNewsletter. e sure to get the latest information from us! Spring has sprung and our state’s legislative session has begun! One of those brings new growth, new opportunities, and makes children happy. The other brings…well…let’s just say new opportunities. Each year we prepare for session by tuning in to the new bills that are being crafted and we begin having discussions with key decision makers to find out their position on certain education items. PTA has a presence in Tallahassee from the very first day of committee weeks, which started in December. We’ve had our “ears to the ground”, our “fingers on the pulse” and all of the other idioms that mean we’re on top of things. This year we’re closely following the bill to mandate recess for all elementary school students. We’re speaking to the bills which keep our students safe on campus. We’re working on bills that will take measures to keep children out of adult courts and we are encouraging counties across the state to use alternate measures instead of incarceration, when appropriate. Angie has done a remarkable job meeting with legislators and she has made sure that PTA has a seat at the table during all relevant discussions involving our children. I’m incredibly proud of her and her team. It’s amazing to walk the halls of the Capitol and have folks smile and nod when they see the PTA nametags on our volunteers. It means that we’re making a difference. It means that we’re respected for our passion. It means that we’re taking advantage of those new opportunities that spring has brought! I ask this of you: if you are coming to the Legislative Conference this weekend, bring your excitement and passion! You’re going to have an amazing experience! If you are unable to attend, please pay close attention as we send alerts and notifications when we need action taken. It’s important that when your voice is needed, you use it. This is the time that we act. This is the time that we use our influence and this is the time we have the power to make positive change! Make your voice heard! Come participate in our Legislative Conference in Tallahassee March 26-28 to learn how you can influence legislation at the state level. This informative conference is for anyone who wants to see change that will benefit our children. Florida PTA has been busy working to serve our underserved students! 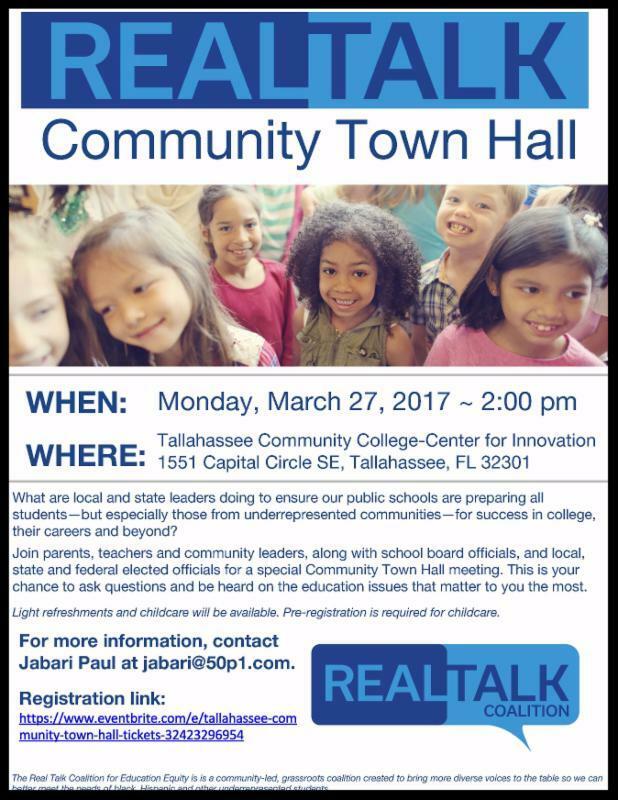 To find out more about Real Talk and the Community Town Hall meetings you have seen around the state, click here to see the article in the Tampa Bay Times. Inequality in education prevents our state from fulfilling its potential. We cannot afford discriminatory barriers that unfairly limit or deny educational access to students based on factors like race, national origin, gender, disability or living status. Florida PTA, the Florida Coalition on Black Civic Participation, and other organizations have initiated a dialogue around how to improve our state public education system for underserved and vulnerable students, including those facing homelessness and those in the foster care or juvenile justice systems. In 2017, we plan to continue our work to increase access, equity and accountability in our state public education system by recruiting more parents, teachers, and community leaders to become involved and we look to you to help us with this task. As they are announced, please help spread the word about upcoming RealTalk events to other civil rights and education advocacy organizations and community leaders you know. Information on upcoming events can be found below or by visiting realtalkfl.org or floridapta.org. Also, if you would like to volunteer to be a part of our effort to improve public schools or you want to share a story about your experience with our state public education system, please sign up here to become involved. What does that mean you ask?? Well I am glad you asked. Leadership Convention is our annual event for all local unit leaders and members to learn more about PTA. It is a time for networking, collaboration and learning. It is an experience that even the most seasoned PTA leader finds valuable. With over 80 workshops to choose from, there is something for everyone to enhance their PTA knowledge. With workshops, county council gatherings, PTA’s Got Talent, general meetings, policy discussions, exhibitors there to share their information and products and more, there is definitely something for everyone! Your next question might be, who can attend? That is easy…any PTA member! Members can pay for themselves to attend or better yet, it is an approved and encouraged expense for local unit and county council budgets. What can PTA/PTSA’s be doing now to get ready? That is another great question! You can start by reviewing your budgets. Verify there are funds available to attend. If funds are available, review your policies and procedures and/or standing rules and apply the process to decide who can attend. If funds are not available, ask these questions: Do we need to make a budget amendment to allot the proper monies to attend? Do we have the funds available to make a budget amendment? Not sure what to do…no worries, ask us! We are here to assist you with these questions and more. Average Expense for 4 attendees = $1800.00 / an average of 500 hours of Learning PTA Best Practices and Networking Opportunities = A PRICELE$$ cost of preparing for a SUCCESSFUL and POWERFUL school year as a strong PTA/PTSA!r Now! The Student Involvement Committee has been hard at work to get students involved in PTA. 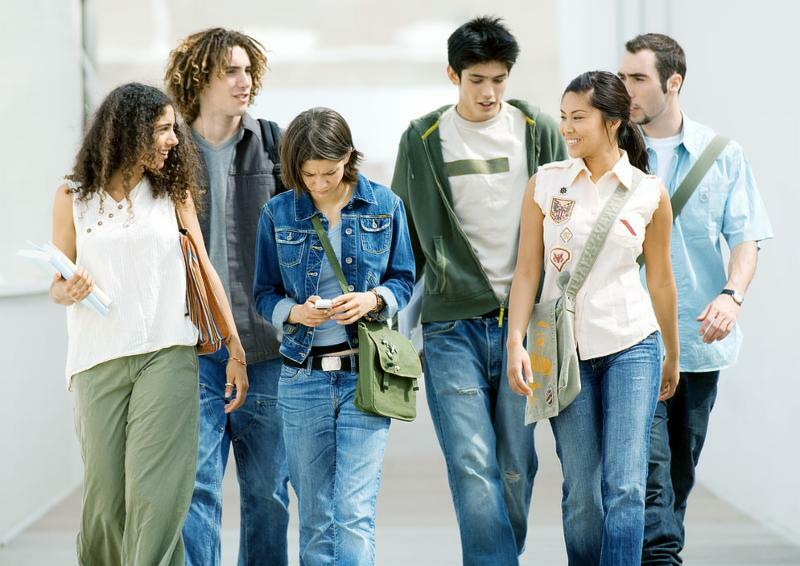 This year we are offering a student reduced rate for students aged 19 and younger for Leadership Convention. We are also going to have our student representatives on the committee teach our courses this year, so you will learn from the students themselves. We are also going to be having a “student track” where you will learn more about certain topics pertaining to students. Now that registration is open, we are challenging the county councils to see what county will send the most students to Leadership Convention! Those students will attend classes and enjoy the convention as participants. Stay tuned for more details! So students, COME ONE, COME ALL TO LEADERSHIP CONVENTION and learn not just from the adults but from the students as well. Don’t forget, your voices count! Follow us on Instagram, Twitter, and SNAPchat as well. We will provide more information shortly. 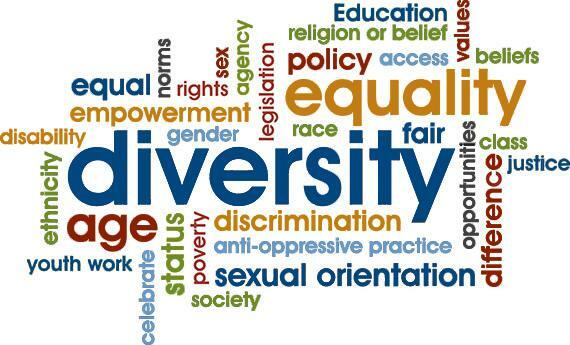 As we advocate for programs that prevent our children from entering into the juvenile justice system, we have tools (support of civil citations, Florida PTA resolution against Zero Tolerance Policies (2015) and National PTA resolution asking for LGBTQ Students to Become a Protected Class (2016)) at our disposal to assist those children that may end up in the juvenile justice system because they are misunderstood or discriminated against, such as minority and LGBTQ community of youth. LGBT youth make up 5-7% of the overall student population but 15-17% of these youth are found in the juvenile justice system. A troubling finding is that many LGBTQ youth are placed in solitary confinement because of their sexual orientation or gender identity. This becomes a double edge sword. Many of these youth, like others, are referred to the juvenile justice system from school for a variety a reasons. Having programs like civil citation and other diversion programs reduces the number of youth, including LGBTQ children from entering the juvenile justice system and many diversion programs help our children learn the coping skills they need to make better choices. As Florida PTA advocates for programs that break the school-to-prison pipeline, let’s remember our LGBTQ youth and our advocacy for their health and safety. HB78- Recess Bill – the bill passed unanimously through the Senate Education Committee. The next committee of reference is the Appropriations Subcommittee on Pre-K-12 Education. Florida PTA participated in a press conference along with Senator Flores and Representative Plasencia discussing the importance of recess for elementary students. HB 7027 – began as a committee bill and is a memorial urging the Federal Government to establish block grants for Title 1 and IDEA funding. The block grant would give control to the state on how to disperse these funds. It passed through committee. This bill is just a memorial and does not change any statutory language. SB 376 – Charter School Funding – Authorizing school boards to levy specified amounts for charter schools; providing that charter school capital outlay funding consists of shared local capital outlay and state funding as provided in the General Appropriations Act; prohibiting a charter school from being eligible for a funding allocation under certain circumstances. This bill will require school districts to share local capital outlay dollars with charter schools. Currently, charter schools receive $75 million PECO dollars for their capital needs. It passed through the Education Committee. SB604 – Education Funding – Revising the amount each school board may levy for certain purposes; revising the purposes for which a school district may levy additional millage by specified means to include fixed capital outlay. Senator Farmer filed an amendment which would allow school districts to levy up to a 2.25 millage rate. The amendment was adopted but the bill was temporarily postponed to amend this language into SB376. SB1334 – Universal background checks – this bill will close the gun show loop hole and require that any person purchasing a gun from a private seller be subjected to a background check and the 3-day mandatory waiting period. This a Florida PTA priority and we will be participating in a press conference next week asking Florida Legislature for their support of this bill. We have received a few emails regarding H.R. 610, also called the “Choices in Education Act of 2017”, which would repeal every Student Succeeds Act (ESSA) and replace it with block grants for states to use for a voucher system. The bill also repeals a rule issued by the Department of Agriculture which would roll back school nutrition standards in schools if passed. National PTA is monitoring the bill and will issue a statement if the bill moves forward. The Duval County Council PTA would like to thank Dr. Nikolai Vitti for keeping PTA membership informed by addressing member questions. Dr. Vitti will answers question at the next DCCPTA general meeting March 28 @ 9:30 am at the school board building. Information about the Midyear assessment results. Click Here for a recent presentation regarding student achievement at midyear. What professional development is available to math teachers? Is it mandatory? Professional development for mathematics is provided weekly via face-to-face meetings or on a digital platform, and every other week through early release and administrator-led common planning. Mathematics professional development offerings are also available throughout the school year. Mandatory professional development for math teachers occurs each week. Two times per month the mandatory professional development is offered by the district and twice per month the mandatory professional development is facilitated by the school leadership team. Can after school tutoring be held with teachers who have been specially selected? This would need to be negotiated through collective bargaining. The challenge here is if specific teachers are willing to conduct after school tutoring. Can students participate in the evaluation of their teachers? No. Student input is not a factor in the approved teacher evaluation system. Teacher assessments are a negotiated item, and must include the components required by the state. Can DCPS employees serve as PTA Treasurer and/or one of the signatures on PTA checks? The employee cannot serve this role at their assigned workplace. The employee cannot be a signer on any other district funds (this would eliminate bookkeepers and principals, at minimum). The employee cannot handle PTA funds at any point during their work hours at their current work site. The employee must have written approval from their current supervisor. The employee should have a PTA officer that is not a signer on the PTA account review the monthly financial reports prior to submitting them to the school. What is the district doing about weapons in schools? Click Here for a PowerPoint presentation that outlines the issues and next steps. I understand that several DCC PTA Board Members recommended the Know the Law presentation by JSO and Drug-Free Duval. We have followed up on this, and The Parent Academy will be offering several sessions soon. 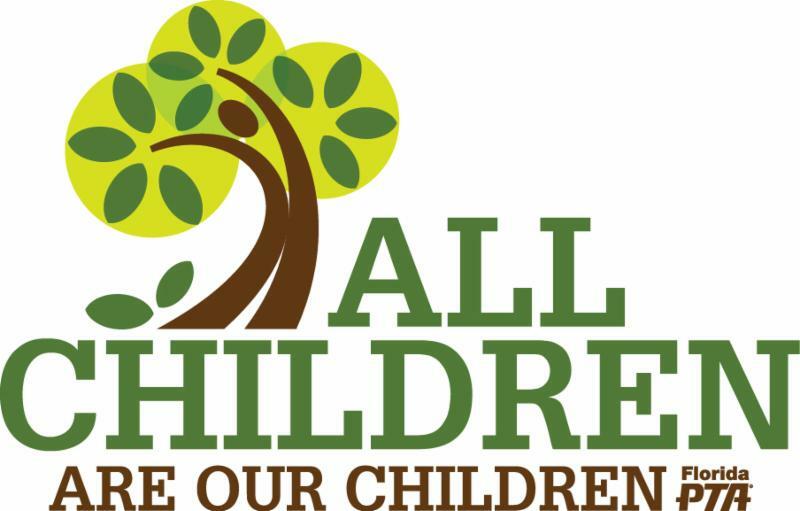 The U.S. Department of Education (ED) has published proposed regulations for the Every Student Succeeds Act (ESSA), which address the area of accountability – that is, how States and local education agencies (e.g. school districts) will report the academic performance of all students and be held accountable to improve the performance of students who are not making sufficient progress on the grade-level State academic content standards. Groups and individuals are invited to submit public comments on the proposed regulations, which ED will use to complete the final accountability regulations. The National Down Syndrome Congress (NDSC) has submitted extensive comments in response to the proposed accountability regulations, and the National Down Syndrome Society (NDSS) is supporting these comments. We request that you submit your own comments by the August 1 deadline so that the voices of the Down syndrome community are heard loud and clear. Why is it important to submit comments? This set of proposed regulations addresses how ESSA implementation plans and report cards at the State and local education agency (LEA) levels must be developed in order to hold schools and LEAs accountable for the achievement of all students, including students with intellectual and developmental disabilities. States must use ESSA funding in a way that is consistent with the law’s purpose: “to provide all children significant opportunity to receive a fair, equitable, and high-quality education, and to close educational achievement gaps.” The language about academic expectations for students with disabilities in ESSA is very strong and can be used to improve implementation of the Individuals with Disabilities Education Act (IDEA), if the federal regulations help focus States and LEAs on their responsibilities to these students. National organizations representing teachers unions, school boards, administrators, and superintendents are encouraging their members to fight against the strong accountability regulations that we want. It is important that OUR voices are heard from the other side! The due date for public comments is August 1, 2016. NDSC and NDSS are asking you to submit comments to ED that support the NDSC comments. The Notice for Proposed Rulemaking (NPRM) is here. Underneath the title of the NPRM, to the right, there is a green box that says “Submit Formal Comments.” Click on this box to get to the comment form. How detailed do you need to get in your comments? My name is Alex Jones, and I am the father of a 3rd grade student with Down syndrome in Cleveland, Ohio. I fully support the comments submitted by the National Down Syndrome Congress as they align with ESSA’s purpose: “to provide all children significant opportunity to receive a fair, equitable, and high-quality education, and to close educational achievement gaps.” I want local and state education agencies to be held accountable for my child’s progress. Thank you for your consideration! In addition to expressing support for the NDSC comments, you may also want to thank ED for the many proposed regulations that support strong accountability and make a specific request for one or more of the most important changes that are needed in the final regulations, which are listed below. NDSC’s recommendations for these changes, including the context, are described in the Summary of the NDSC Accountability Regulation Comments here. These nine recommendations and many other critically important comments and recommendations can be found in the full text of the NDSC Comments on the Accountability NPRN here. Minimum subgroup size (n-size) – a requirement that States must justify their n-size if it will be greater than 10 to help ensure that schools have to count their disability subgroup unless it has fewer than 10 students with disabilities. Want to impact the development of your State’s ESSA plan? NDSC has developed a State Plan Advocacy Guide to help parents make detailed recommendations on their State ESSA plan. You can find the guide here. Please contact Ricki Sabia (ricki@ndsccenter.org) or Heather Sachs (hsachs@ndss.org) with questions. We encourage you to drop us a quick email and let us know when you submit comments so that we can be sure to thank you for your efforts! Recognizing the importance of education policy and how it will affect our constituents, you may receive informational emails, called Education Alerts, and Action Alerts from both the NDSC and NDSS. Our two organizations are committed to working together on education issues, including ESSA implementation, IDEA-related issues, and other education matters. 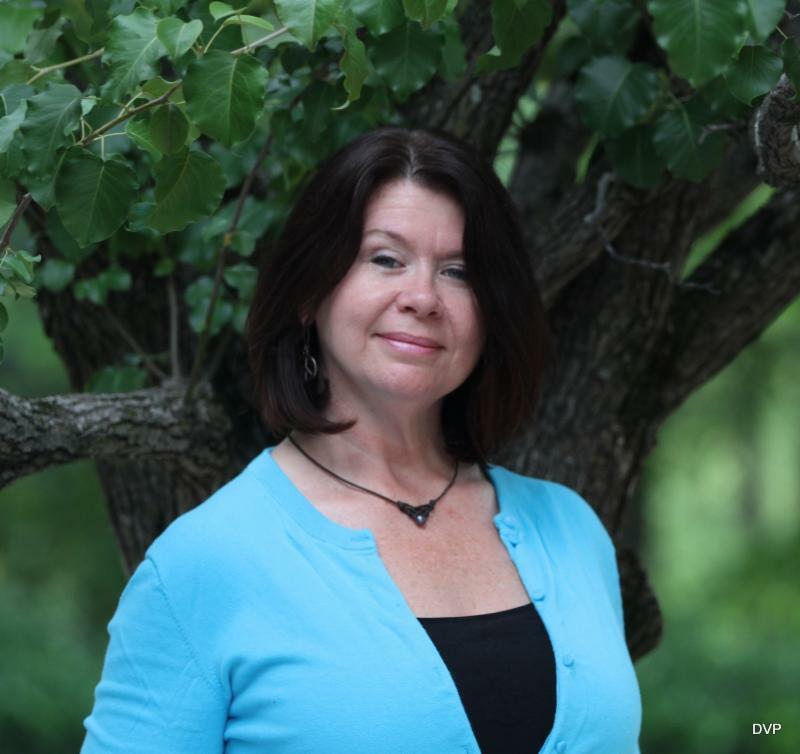 NDSC’s Senior Education Policy Advisor, Ricki Sabia, will lead this collaboration, and will work closely with Heather Sachs, NDSS Vice President of Advocacy & Public Policy, coordinating education policy strategy to best serve the entire Down syndrome community.